I’ve only been a missionary for six months so far, and I love it! There is nothing more thrilling than seeing a life change through God’s power. The vast Gobi Desert takes up much of southern Mongolia, but rather than sand dunes, it is mostly a barren, rocky wilderness and temperatures range from minus 40 degrees Fahrenheit (minus 40 degrees) Celsius in winter to 104 F (40 C) in summer. The Mongolia Mission is located in Mongolia’s capital, Ulaanbaatar. It comprises six churches, with a membership of 2,177. Mongolia has a population of 3,095,000, so there are 1,422 people for every Adventist in the country. 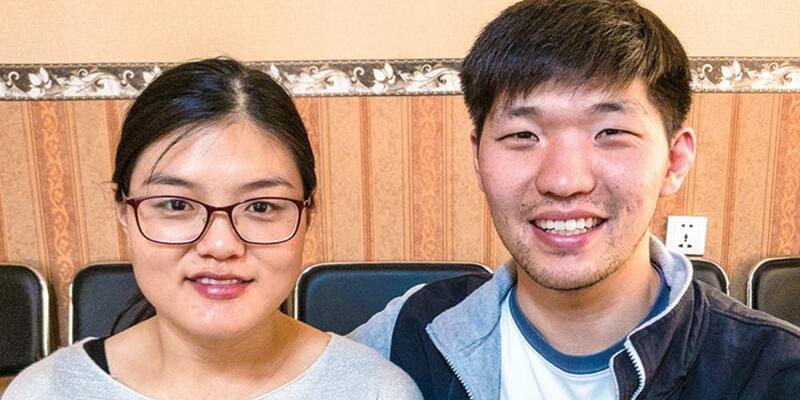 The Seventh-day Adventist Church is young in post-communist Mongolia, with a married couple from Adventist Frontier Missions becoming the first Adventist missionaries to enter the country of 3 million people in 1991. The church’s membership of 2,177 also is young, and most members are the first in their families to be baptized. This has led to several challenges, including member retention, as illustrated by the story of a 28-year-old Global Mission pioneer in Mongolia’s capital. Mandakh [pronounced: maan-dakh] was baptized as a teen but left the church seven years later. This is his story. I grew unhappy and eventually decided that believing in God was pointless. Something was broken in my life. I stopped going to church. I stopped keeping the Sabbath. I stopped giving tithe. My wife was sad, and she prayed for me. After several months, the leaders of the Adventist Church in Mongolia offered me the position of Global Mission pioneer. I would lead a dying house-church on the first floor of an apartment building in Mongolia’s capital and teach English at a nearby public high school. My wife would oversee the children’s Sabbath School and teach Chinese. I prayed for a week and then quit my television job. Another miracle happened with a disabled man whose only income is a disability payment of 160,000 Mongolian togrog (about U.S.$65) a month from the government. I’m not an emotional person, but I become so happy when I see God’s love transforming lives. I cannot express this feeling with words. I want everyone to know about God’s love, and that’s why I’m a missionary. Being a missionary is the best job in the world!